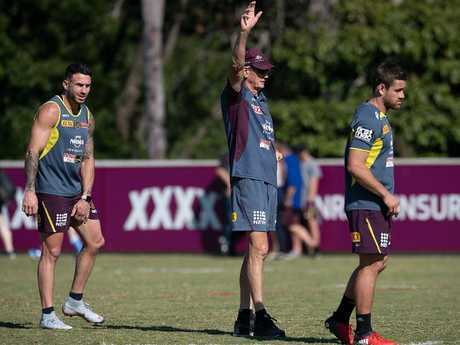 THE Broncos are reportedly in contract discussions to supplant Wayne Bennett with former Rabbitohs coach Michael Maguire. In a seismic development, The Courier-Mail reports the Broncos have identified Maguire as the man to take over from Bennett - but will allow the 68-year-old to see out his contract through to the end of the 2019 season. Bennett last month asked the Broncos' board of directors for a one-season contract extension, but the master coach's request has been denied. The board has instead offered Bennett a position in the club's front office - a peace offering which has reportedly angered the seven-time premiership winning coach. The Broncos' move to chase Maguire could prompt Bennett to break his contract one season early. The report claims the Broncos have already begun preliminary talks with Maguire over a three-year contract worth around $2.4 million. Only an unlikely charge to the premiership this season would be enough to stop the Broncos' pursuit of Maguire. The Courier-Mail's Pete Badel told Fox Sports News on Thursday night Broncos chairman Karl Morris' offer to Bennett went down like a led balloon. "He has been offered a job at the Broncos beyond 2019, but it will not be the head coaching role that he so desperately sought," Badel said. "This is a massive kick in the guts for Wayne Bennett - the second greatest coach we've seen. "He wanted a 12-month extension beyond 2019 as part of his strategic plan to bring a premiership to this club. It will not happen. Karl Morris, the chairman, had communicated to Wayne Bennett that he can stay on at the club, but it will not be as head coach." However, it remains unclear when the Broncos intend for Maguire to take over from Bennett. The master coach is reportedly considering walking to a rival club at the end of this season in response to the board's refusal to extend his coaching contract. Bennett on Thursday was adamant he has no plans to leave the Broncos before his contract expires at the end of 2019. 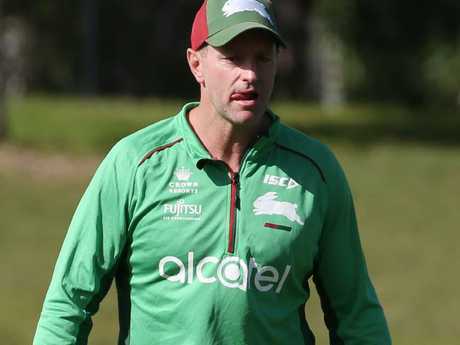 Maguire, who coached South Sydney to its fairytale 2014 premiership before being sacked at the end of 2017, was earlier this week identified by reports as Manly's prime coaching target should Trent Barrett walk away as reported at the end of this season. Contrasting reports claim Maguire has already turned the Sea Eagles down. Maguire is expected to keep his position as head coach of New Zealand's international team, juggling the job alongside his NRL commitments. The Broncos are expected to confirm their pursuit of Maguire in a press conference in the next few days. Bennett on Wednesday turned up the heat on Brisbane's hierarchy over their handling of his future. 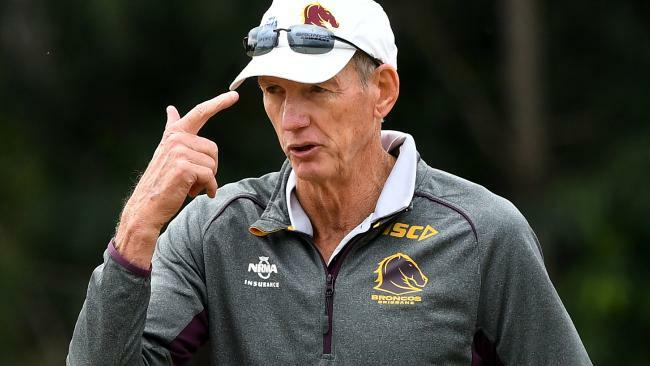 Speaking before Thursday's crunch clash with South Sydney in Brisbane, Bennett downplayed reports of a fractured relationship with club CEO Paul White and also categorically denied any contact with other clubs about their head coaching job. But Bennett - this week linked to a possible St George Illawarra return - was critical of the circus which has surrounded his position for most of the season as the eighth-placed Broncos face missing the finals for just the third time in 27 years. "My option is to be here, simple as that. This is the club I want to be at," Bennett said. "Last time I left (to coach the Dragons in 2009), I left for similar reasons, but made the decision to leave so this (sort of distraction) wouldn't happen. Michael Maguire looks pretty excited about it all. "I made it easy for them last time, I'm not doing it this time." Bennett has another season to run on his contract and says he is tired of fronting up to questions about his tenure. "Any distraction is a concern for me; it's not what good football teams need. "The boys are handling it great but the bottom line is it's not what you want ... like everyone else they feel the pain. "I always tried to avoid it and always worked really hard in my coaching life to avoid it." More fuel was thrown on the fire when a story emerged that some players had gathered at the coach's house on the same day last week that White hosted a club gathering. The 68-year-old coach downplayed the significance of it, saying the players had organised the social event in impromptu fashion and he'd thought they were joking at first, before admitting he enjoyed the evening. He also said players weren't required to attend White's gathering, though some did. "It's the drama queens at work," Bennett said. 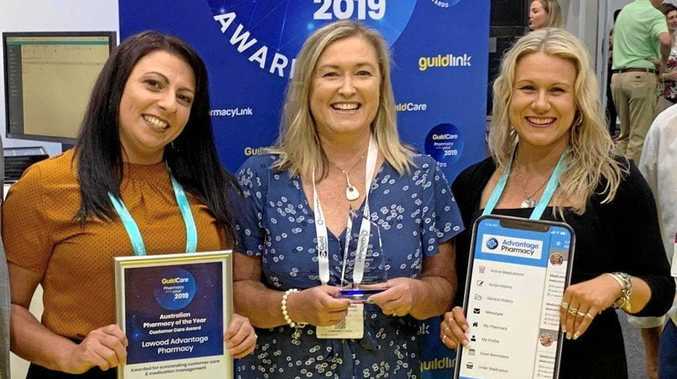 "We had a great night, enjoyed each other's company and I'm pleased we did it." Despite insisting he retained a solid working relationship with White, he was happy to turn the heat up over the on-going off-field drama. "This is my 25th year here; I've protected this club more than anyone else has in that period of time," he said. "I've always protected it from things that I believe are happening now ... we're a better club than all that."